The energy generated by 171 wind turbines is transmitted by submarine cable from the offshore platforms to the Dutch coast and connected to the power grid. 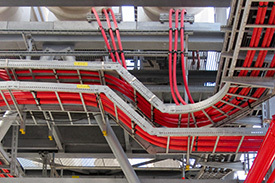 The four export cables each transmit 350 MW. 6 TWh cover the needs of approximately 1.5 million households for one year. 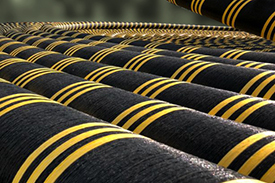 The submarine cable production takes place in the most modern plant in Germany. The consortium partner is responsible for the laying of the cables on the seabed. Boiling water reactor with a previous electrical output of 926 MW (gross) that was in operation from 1979 to 2011. 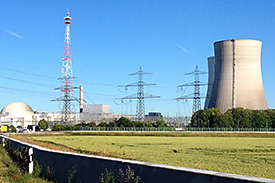 After the incident in Fukushima, the German government decided to phase out nuclear energy. As well as the dismantling of activated and non-activated parts of the plant, decommissioning of a plant also involves the appropriate logistics for handling materials that have been extracted. Responsible for: Consultancy on process optimization, project controls and operational risk management. 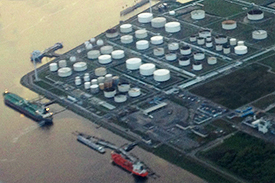 With a storage capacity of 950,000 m³ and 3 Jetties, the terminal is used for trading fuels. It serves an average of 8 ships and 50 road tankers daily. Responsible for: Strategic planning, project controls, interim project leading. 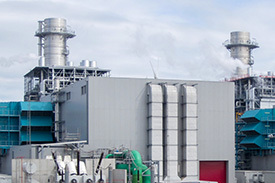 2 operative blocs of power trains, each consisting of a gas and a steam turbine as well as an HRSG (boiler), once through seawater cooling, working with an efficiency factor of > 59%. The power plant generates 870 MW – a capacity that is sufficient to supply 1.4 Million households. Responsible for: Project Controls Management from the bid through the execution and the hand-over. Successful closure including the achievement of obtaining a contractual early hand over bonus. 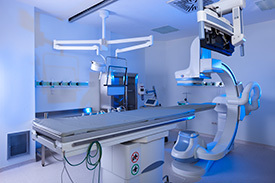 3 operative blocks including emergency and radiology departments, laboratory, pharmacy and morgue. Spread over 15,000 square meters with 130 beds, sterilization and kitchen units serving 450 patients and 250 staff members. Responsible for: Project Controls Management through execution and hand-over. Single shaft block consisting of a gas and steam turbine, as well as an HRSG(boiler) designed to generate 400 MW. With an efficiency factor of > 60%, engineered to be the most efficient power plant in South-East Asia. Responsible for: Bid (later contract) schedule including time, workflow, cost optimizing measures, as well as negotiations with customer representatives. Successful in winning the bid.